By 2050, passenger planes could emit three times more greenhouse gases than they do today. How can flying become more climate-friendly? 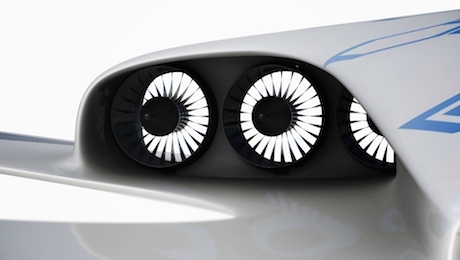 Is electromobility in the sky a realistic prospect? We take a look at the latest developments in research. By 2050, passenger planes could emit three times more greenhouse gases than they do today. 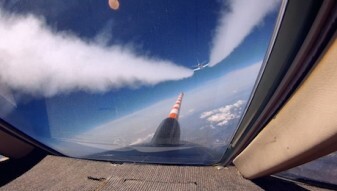 Not only carbon dioxide emissions from aircraft engines but also vapour trails are contributing towards global warming. Scientists are trying to find out how vapour trails from existing aircraft can be reduced, for example by using new types of fuel. But new, low-emission aircraft concepts, such as electrically powered passenger planes, are also being tested. However, it could take decades to develop new, lightweight batteries that can store enough energy for a short-distance flight. And long distances will probably never be possible in planes powered by batteries. This is why engineers are currently testing so-called hybrid planes. These combine efficient electric drives with an on-board power station that generates electrical energy. Before these can be implemented, it’s hoped that new bio-fuels can be used in turbines. 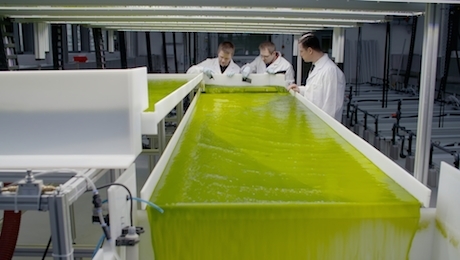 Chemists are testing algae oil as a renewable raw material that can be used to produce clean bio-kerosene. Bio-kerosene would not only have a better climate footprint than conventional kerosene, it would also burn more cleanly and efficiently and thus reduce fuel consumption. Original Title Ökojets – Flug in die Zukunft?